The Baltic-German physician and naturalist Alexander von Bunge took part in two major Arctic expeditions in 1882-1884 and 1885-1886, and is known mainly for collecting thousands of fossil mammoth bones and tusks and other fossil mammals from the New Siberian Islands, mammals that were previously unknown in this part of the Arctic. In 1881, having heard that the Russian Geographical Society was planning to set up a polar station at the delta of the Lena River in the framework of the First International Polar Year (1882-1883), von Bunge put forward his own candidacy for the post of a simultaneous physician and an observer at the station. Leopold von Schrenck, a member of the St Petersburg Academy of Sciences, helped Bunge secure financial support from the Academy, and at his suggestion (he was a member of the commission organizing the expedition) Bunge became the physician and assistant of the leader of the expedition to the delta of the Lena (1882-1884). Bunge became a polar researcher through the St Petersburg Academy of Sciences, where he improved his knowledge of zoology and geology before the expedition to the Lena delta. The expedition was conducted by a military man, Nikolai Iurgens, and mathematician Adolph Eigner acted as an observer. In addition to the scientific staff of three persons, there were seven male attendants. It was one of the most difficult expeditions of the First Polar Year because of the remote location of the observation station and severe climatic conditions. The expedition was launched in St Petersburg on December 31, 1881 and moved through Irkutsk to Yakutsk, from where the trip continued on barges. The expedition arrived at the destination point, Sagastyr, on August 24, 1882 and there built an observation house. August 31, 1883 was planned to be the final date of the expedition, but at the suggestion of the Russian Geographical Society the expedition stayed at Sagastyr for another winter continuing different scientific observations. In March 1883, information was obtained that a mammoth had been found c.50 km from the station, and Bunge went to look for it. Unsuccessful searches for the mammoth lasted until the first days of May when the thawing snow made further search impossible. Bunge returned to the observation station of Sagastyr, which finished its activities on July 1, 1884. Before leaving, Bunge decided to find the mammoth he did not succeed in finding in the spring. This time he was successful. The expedition to the delta of the Lena River, organized by the Russian Geographical Society, was one of the most fruitful in the framework of the First Polar Year. 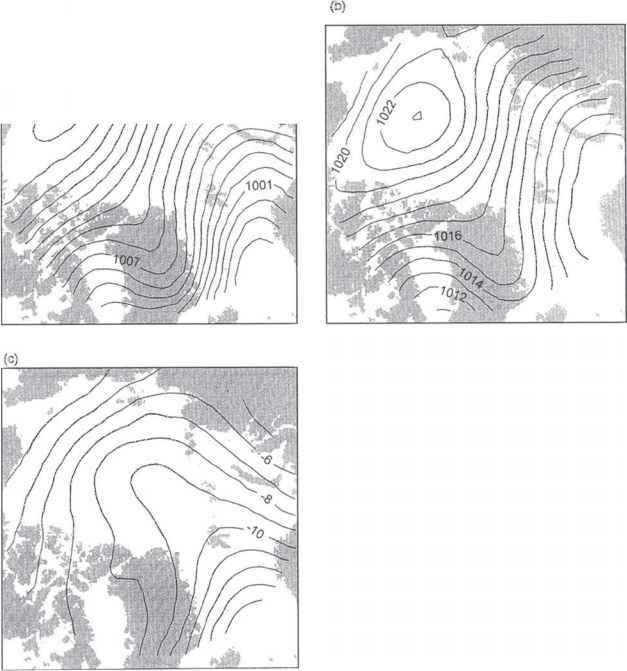 Regardless of the extremely severe climatic conditions, different meteorological (air temperature, air humidity, atmospheric pressure, amount of precipitation) and geomagnetic observations were carried out during the one and a half years using the same methods. These were the longest continuous observations from the Russian Arctic. In addition to the recording of observation data, the results of the expedition included a precise mapping of the delta of the Lena River, and rich zoological (including the remains of the mammoth) and botanical collections compiled by Bunge. The results of the expedition were published in the book Trudy poliarnoi stancii po ust'e Leny. The success of the expedition and a dream of Bunge to visit "his Eldorado," Kotel'ny Island, led Schrenck to suggest a scientific expedition to Novosibirskiye Islands (New Siberian Islands) in the spring of 1884 at the initiative and direction of the St Petersburg Academy of Sciences and under the leadership of Bunge (the last to visit these islands was Petr Anzhu's expedition, 1821-1824). Bunge accepted the offer along with the young Baltic-German zoologist and geologist Edward von Toll. The goal of the expedition was to investigate and compare the natural conditions and geology of the Verkhoyansk region (Yakutia) with those of Novosibirskiye Islands. Until then, these areas had never been visited by any professional naturalist. The St Petersburg Academy of Sciences was especially keen for data on the reasons of dying-out mammoths and other mammals at the end of the Pleistocene, as the Novosibirskiye Islands were known to be very rich in Pleistocene mammal bones. The expedition was launched from Irkutsk on March 6, 1885. The team of the expedition consisted of ten persons, while Bunge and Toll were responsible for its scientific part. They passed Yakutsk and arrived in Verkhoyansk on April 30. From there they started the investigation of the lower courses of the rivers of Iana, Indigirka, Alazeia east of the Lena. Bunge had to determine the altitude of the area covered by the aneroid barometer, carry out meteorological observations, collect botanical, zoological, paleontological specimens, and investigate the anthropology and ethnography of the local native peoples. Toll carried out the geological investigation of the area. In August the expedition arrived at Kazach'e and stayed there for winter. The main goal of the 1886 expedition was to investigate Novosibirskiye archipelago. The preparations for the expedition started at the beginning of 1886 with the building of food stores. Toll went to Bol'shoi Liakhovskii (Bigger Lyakhov) island at the end of April. Bunge joined him in the middle of May. On May 15, they reached Kotel'ny Island, where the food depot was built. Then the expedition was divided into two groups. Toll went on to explore the Tree mountains on Novaya Sibir' and had to map Kotel'ny Island on his way back. Bunge also went north trying to map (unfortunately unsuccessfully) the eastern shore of Kotel'ny Island. In fact, Kotel'ny and Faddeevskii, which on earlier maps were indicated as separate islands, turned out to be one big island, with a low sand shoal area joining its parts, which Toll named Bunge land. On June 1, Bunge went from Kotel'ny to Bol'shoi Liakhovskii Island in order to carry out natural scientific investigations there. The explorers met again at the beginning of November and returned to the continent together. Bunge arrived at Kazach'e on November 17. Toll had arrived there a couple of days earlier. Bunge and Toll were the first naturalists to investigate Novosibirskiye archipelago and Verkhoyansk region. They determined the geological, geographical, climatological, zoological, and botanical features characterizing the areas studied. Rich collections of zoological, botanical, paleontological, and geological materials were gathered, and the glacial origin of fossil ice was determined. It was treated as one of the reasons for the dying out of mammoths. The fact that remains of mammoth, rhinoceros, horse, two species of oxen, muskoxen, and sequoia were found were treated as proof that Novosibirskiye archipelago had had a relatively warm climate in the late Pleistocene.